The following selection of exclusive reports are available at no cost to you, as a service of The Accredited Senior Agent. Choose the report that interests you most, then fill in the short form on the right! 8 Most Important Questions . . .
Do you WANT to move, or do you feel you HAVE to move? 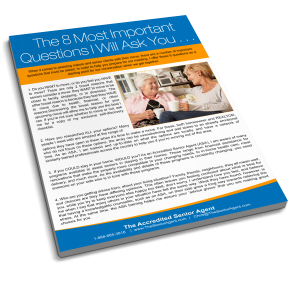 There are only 2 broad reasons that seniors consider a move: they WANT to move to be closer to family, shopping, or to downsize. The other broad reason is because they feel they HAVE to move due to health, financial, or other reasons.Discovering the broad reason for your upcoming move will allow me to help you the best I can. If you’re not sure whether to move or not, ask me for a copy of my exclusive self-discovery check. 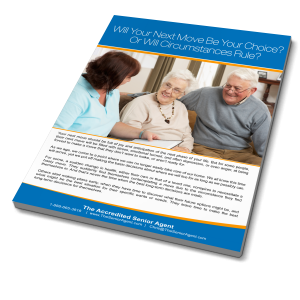 Choice or Circumstance? . . . Your next move should be full of joy and anticipation of the next phase of your life. But for some people, their next move will be filled with stress, emotional turmoil, and often depression, or even anger, at being forced to make a move that they don’t want to make, or aren’t ready for. As we age, we come to a point where we can no longer easily take care of our home. We all know this time will arrive, yet we put off making the basic decisions about where we will live for as long as we possibly can. Transition Management? . . . When someone has been living in their home for a long time, or they are unable to take on the multitude of things needing to be done to make a move, there is a new breed of professional on the scene to help them - the Transition Manager (also commonly known as a Senior Move Manager). 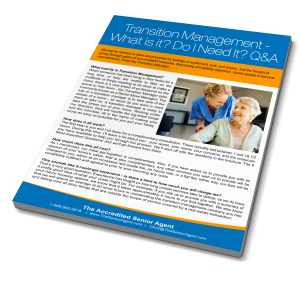 The role of a transition manager is to take care of the details of a move - as much as you want or need them to take on. A transition manager is ready to take the stress out of your move. Working under our direction, they will handle the big-ticket things and the minutiae, all in the name of making your move as easy as possible for you and your family. 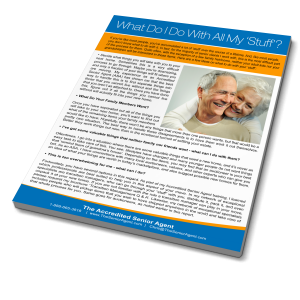 If you’re like most people, you’ve accumulated a lot of ‘stuff’ over the course of a lifetime. And, like most people, you don’t know what to do with it. In fact, for the majority of senior clients I work with, this is the most difficult part of the process for them. Quite often, with the exception of a few family heirlooms, neither your adult kids nor your grandchildren will be interested in these items. Here are a few ideas on what to do with your ‘stuff'. Your home is typically the biggest investment you have. It’s also the holder of memories, cherished possessions, and so much more. It’s not bricks and mortar; it’s a living, breathing part of you. And now it’s time to move on to the next phase of your life. 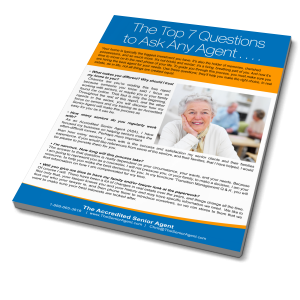 To guide you through this process, you must make sure you are hiring the best agent for your needs. Use these questions; they’ll help you make the right choice. In real estate, as in life, not all things are created equal. If you’re like most people, you really don’t think too much about your various insurance coverage’s. In this free report, you’ll discover some things that your insurance agent may not have thought to tell you. You’ll also learn a few things to consider regarding your Provincial health coverage, and some good news about life insurance. As you read this report, remember the Information is provided for thought-provocation only; you need to speak with your insurance expert for advice specific to your situation. What's Changed in Real Estate? 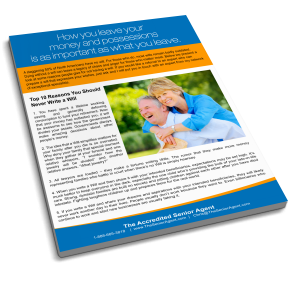 If you’re like most seniors you haven’t bought or sold your home in many, many years. Whether that’s the case or not, this free report will give you useful insights into the major changes in real estate over the last 20 years. The basics of the business haven’t changed - it’s still all about helping you make your move as smoothly and in as stress-free a way as possible. It’s the legal part of things and the marketing part that have really changed. Top 10 Reasons NOT to Have a Will . . .